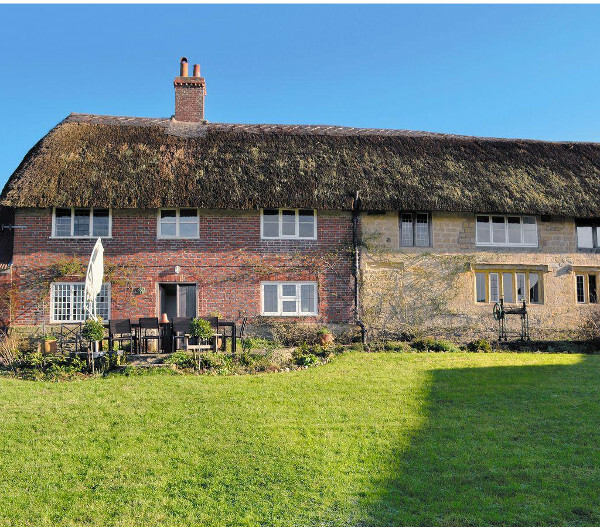 North End Farm House is a large thatched, former farmhouse, located in Chideock just outside Bridport in Dorset. This large holiday cottage is a great place to spend a holiday with friends and family, and, as the photo below shows, is set in a rural part of Dorset. North End Farm House sleeps 14 people in 6 bedrooms - 3 double bedrooms and 2 twin bedrooms. The last bedroom has a twin bed and a bunk bed too. North End Farm House has 4 bathrooms. There is a TV, DVD player and Wi-Fi provided. With a gas hob, electric oven, washer/dryer, dishwasher and freezer al provided too. North End Farm House has two living rooms, one with an open fire, and one with a wood burning stove - both of which made a great addition when you're taking a holiday during the colder months of the year. You don't need to rely on the real fires to keep you warm though, North End Farm House also has oil central heating; and your towels and bed linen are included in your holiday. Outside North End Farm House has an enclosed lawned garden with a patio, furniture and a gas barbeque. There is plenty of parking at North End Farm House too. For those with a dog as part of the family, you'll be pleased to hear that North End Farm House is pet friendly, which means you can all holiday together, and enjoy walks in the countryside. North End Farm House has a rural location just outside Chideock, with the nearest pub, restaurant and shop all 1½ miles away. The Jurassic Coast is a couple of miles south of North End Farm House, and is well worth a visit for the day: take winter bracing walks with your dog; or summer days on the beach with your children - the Jurassic Coast has a little bit something for everyone. 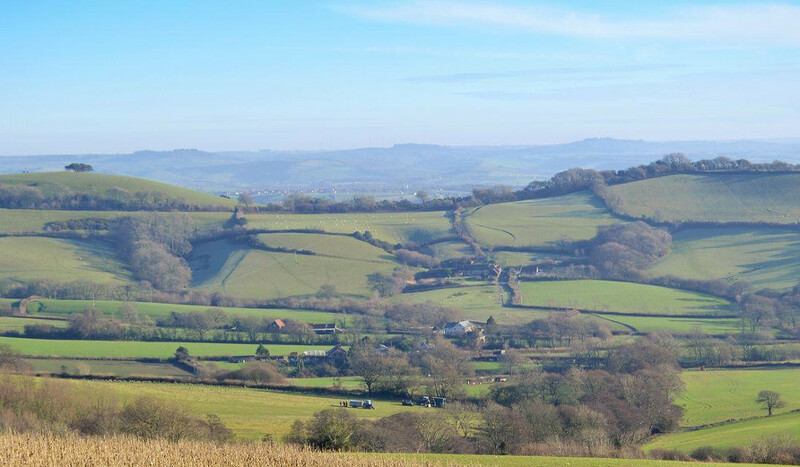 Other places to consider during your holiday in this part of the world are Glastonbury with its famous abbey, and Tor giving views all across Somerset. For those out there with an eye for a bargain, how about the Clarkes Shopping Village in Street - you're sure to pick up a bargain here. Attractions, including, Yeovilton Fleet Air Arm Museum and Dinosaurland are also good places to spend the day. You'll also find some historic houses, such as Forde Abbey and Gardens, to visit. Dorset is a lovely place to visit, and North End Farm House makes a great place to spend your days. Want more of an idea of what North End Farm House is all about - watch the video! The video below gives you more information about North End Farm House - you can see the lovely interior; and views across the fields. Should North End Farm House not be to your liking, but you fancy staying in the area around Bridport, you might well be interested in the cottages below. All these cottages are within a few miles of North End Farm House.